The Centre for Arab Genomic Studies (CAGS) was established on 25 June 2003 for the purpose of alleviating human suffering from genetic diseases in the Arab World. 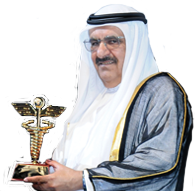 Since then, the Centre, a division of Sheikh Hamdan Award for Medical Sciences, has dedicated itself to improving human health by characterizing and preventing genetic disorders in Arab countries based on recent advances in human genetics. The Executive Board of CAGS is formed of a number of local scientists and it represents the governing body and the legal trustee of all activities of the Centre. The Council of CAGS includes a number of regional scientists and it facilitates the exchange of information on genetic disorders occurring in Arab countries. Countries represented in the Council include: Bahrain, Egypt, Iraq, Jordan, Kuwait, Lebanon, Oman, Palestine, Qatar, Saudi Arabia, Sudan, Tunisia, and the United Arab Emirates. The Catalogue of Transmission Genetics in Arabs (CTGA) database, which is a continuously updated, open-access compendium of bibliographic material and observations on human gene variants and inherited, or heritable, genetic diseases in Arabs. As the database covers country after country in what is the largest scientific effort to define genetic disorders in Arab people, a clearer picture of the pattern of genetic disorders and effective strategies to prevent them is emerging. 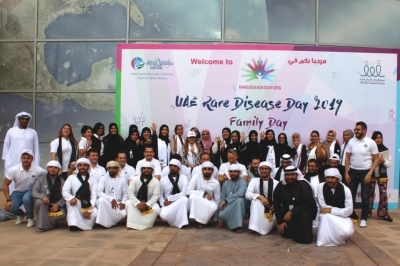 The Centre for Arab Genomic Studies, a division of Sheikh Hamdan Bin Rashid Al Maktoum Award for Medical sciences, published the 5th edition of Genetic Disorders in the Arab World (Kingdom of Saudi Arabia). The book provides an overview of medical genetic services in Saudi Arabia, as well as the major Mendelian disorders affecting the Saudi populatin. Moreover, the book highlights the importance of Islamic Bioethics in the context of medical genetics, as well as a Kingdom's profile in the Catalogue for Transmission Genetics in Arabs (CTGA) database, which the Centre maintains. 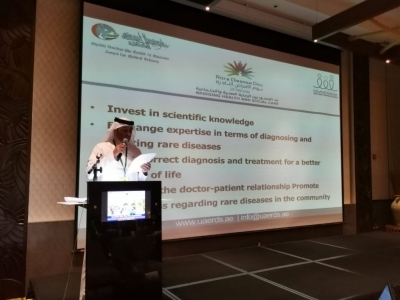 On the sidelines of the 10th Dubai International Conference for Medical Sciences, the newly reconstituted Executive Board of the Centre for Arab Genomic Studies (CAGS) held its first meeting. A collaboration between researchers at the Centre for Arab Genomic Studies (CAGS), a division of the Sheikh Hamdan bin Rashid Al Maktoum Award for Medical Sciences (HMA), the genetic center “Institut Jerome Lejeune Paris” in France, and several universities and hospitals across Lebanon has resulted in the publication of a study of 213 pediatric patients who underwent genetic analysis for a range of genetic disorders including neuromuscular, cardiac, and metabolic disorders. The study was led by Professor Andre Megarbane, member of the CAGS Arab council, and clinical geneticist working in Lebanon and Paris. The Center of Arab Genomics Studies (CAGS), a division of the Sheikh Hamdan bin Rashid Al Maktoum Award for Medical Sciences (HMA), announced the addition of new member scientists to the Executive Board and the Arab Council, in a step to better represent the various Arab countries, and to increase its network of expertise. 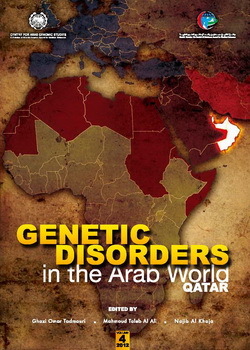 To raise public awareness on the importance of genetic diseases in the Arab World. To identify disease-causing genes in the Arab population and develop a database of genetic diseases prevalent in the region. To bring together diverse expertise and resources in the field of genetics and related areas in the Arab World and to promote common understanding between experts and facilitate multidisciplinary research in the field. To prevent genetic diseases by providing comprehensive genetic services by translating research achievements into well-integrated patient treatment programs. To develop a center for excellence in Dubai for genetic research and clinical services in the Arab World. To address the ethical, legal and social issues that may arise from novel applications in human genetics. 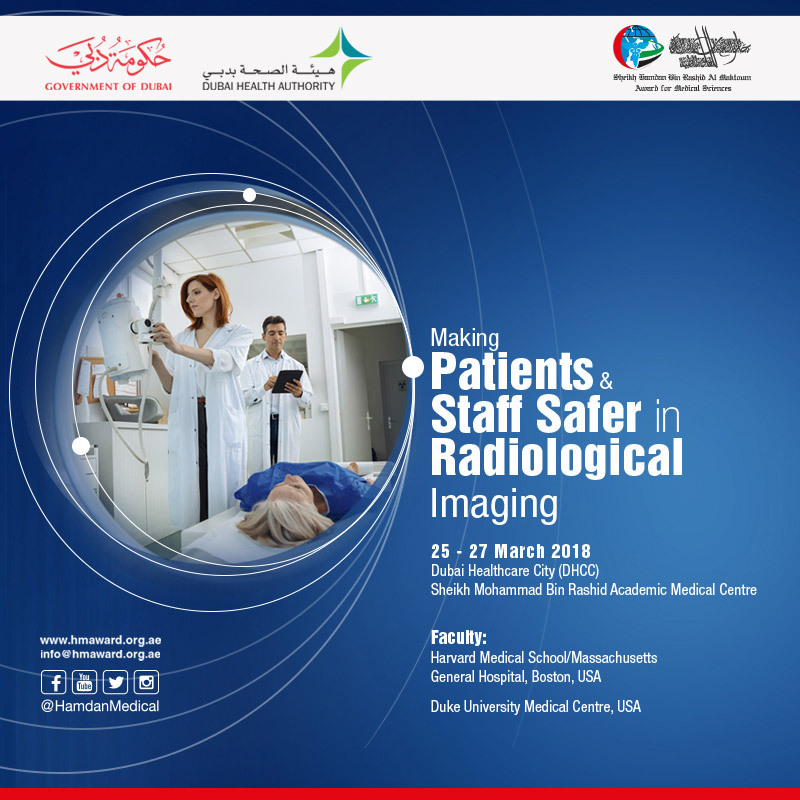 To cooperate with other research and medical institutions to ensure global access to new findings and technical developments. 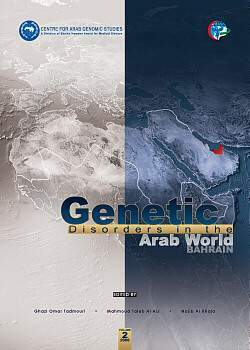 One of the major activities undertaken by CAGS is the Catalogue of Transmission Genetics in Arabs (CTGA) Database, which is a continuously updated, open-access compendium of bibliographic material and observations on human gene variants and inherited, or heritable, genetic diseases in Arabs. As the database covers country after country in what is the largest scientific effort to define genetic disorders in Arab people, a clearer picture of the pattern of genetic disorders and effective strategies to prevent them, is emerging. CAGS regularly brings out open access publications, aimed at both the scientific community and the public. 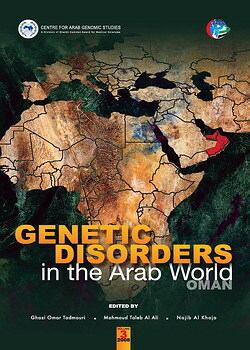 The Centre's major publication activity has been its series of books on "Genetic Disorders in the Arab World". 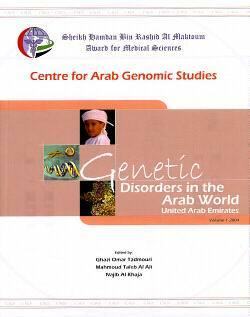 This compilation is a consequence of CAGS' work on cataloguing Arab genetic disorders. Thus far, four volumes of these books have been published. CAGS also publishes articles in scientific journals from time to time. Aimed at the public, CAGS has also published three booklets on blood disorders, cancers, and disorders covered by neonatal screening. These guides contain basic information on the disorders, their causes, and management, along with relevant epidemiological information about the Arab World. The Pan Arab Human Genetics Conference (PAHGC) is a biennial event organized by CAGS. 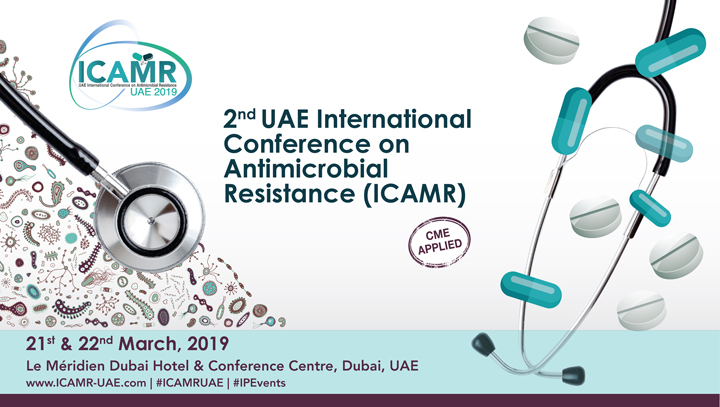 This conference series has been one of the major contributions of CAGS towards the dissemination of research outcomes on human genetics in the region, and it has become one of the most awaited events in the calendar of human genetics. The first edition of the conference, held in 2006, was supported by the Human Genome Organization (HUGO), and attracted more than 500 delegates. Attendance almost doubled beyond 900 delegates in the second and third editions of the conference. 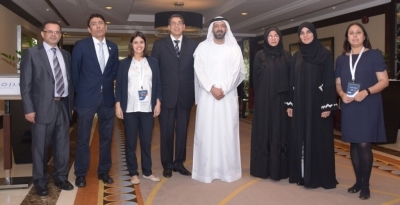 The fourth edition of the Pan Arab Human Genetics Conference was another feather in the cap for CAGS since it was merged with the 15th Annual Human Genome Meeting (HGM) of the Human Genome Organization (HUGO) in Dubai in March 2011. This was the first large-scale event on human genetics and genomics to be held in the Arab World, and was a tremendous success in terms of providing a platform for national and international leading geneticists to work out strategies and set the priorities for research aimed at combating the menace of genetic disorders in the region.